Haryana is one of the leading real estate destinations of the country. After Gurgaon, Kurukshetra and Sonepat are the best real estate markets for future investments. Located just 16 kms away from Delhi, Sonepat is an urban city in Haryana and a flourishing real estate market. Bordering Delhi, it has emerged to be an integral part of NCR. It houses some of the landmark commercial and residential developments and many other novel industrial, educational, infrastructural and hospitality projects. The real estate market of Sonepat is witnessing a remarkable growth across all segments and has become the most-sought after destination for investors and end-users offering a horde of realty options. Its excellent connectivity and proximity to Delhi are the favorable factors that have triggered the real estate growth and development of the city. The competitive property prices are another added advantage that assures the buyers of handsome returns in future. An eight-land expressway connecting industrial areas like Palwal, Jhajjar, Sonepat, Gurgaon and Bahadurgarh, is also on the cards. Kundli in Sonepat is the prime locality that has great investment potential due to the various infrastructural projects coming up like the 5000 acres Rajiv Gandhi Education City, KMP Expressway, Op Jindal Global University, proposed logistics Park, textile Park, and a 100-metre-wide road linking IGI Airport to Narela. Kurukshetra in Haryana is another excellent investment option that offers a horde of projects in industrial residential or commercial segments. Real estate investment in Kurukshetra will be quiet profitable as the city is expected to scale heights in the coming years. Easy availability of large tracts of land and great infra development happening acts as catalyst in fueling the realty growth of the city. Calm and peaceful living environment, reasonable property prices unlike other cities, smooth and hassle-free travelling options and easy availability of land add glitter to the glamour of the city. Ample job opportunities: With so many infra-developments taking place and multi-national companies setting up their base in Haryana, the state provide innumerable job options. There are more than 500 companies in various fields like IT, BOP and media, etc. established over here that generate lucrative jobs for graduates and young professionals as well. State-of-the-art Infrastructure: Haryana is one of the rapidly growing states of the country that boasts of superb connectivity with Delhi, state-of-art infrastructure and excellent socio-economic conditions. There are various National Highways and expressways coming up which shall connect the place with other major cities and states. The big brand corporates and multinationals have set up their base over here. Also, the world-class educational facilities like UGC approved colleges and quality schools and colleges have added to the charm of the place. Places like Gurgaon, Ambala and Faridabad have topped the chart in the entertainment sector also with its leading malls, hotels, multiplexes, etc. Connectivity: The demand for property is in increasing across all realty segments due to the excellent connectivity of the place. 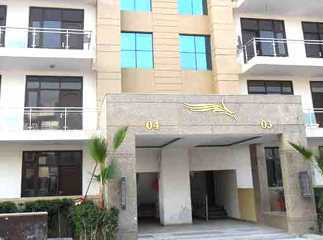 Faridabad is well-linked to the capital city via metro and Ambala by both road and railways. Soon Gurgaon shall also be connected with Faridabad by a monorail which shall subsequently help in increasing the property prices in different areas.